The purpose of this class is to acquaint the young child with the basic components of music: melody, harmony and rhythm in various simple forms as necessary pre-requisites for continued musical growth and enjoyment throughout life. The piano is an ideal vehicle for acquiring the language of music via the three senses of sight, touch and hearing. Children can see what they are doing both at the keyboard and on the printed page. They can reach out and touch the keys they are playing and they can hear the various combinations of sonorities. 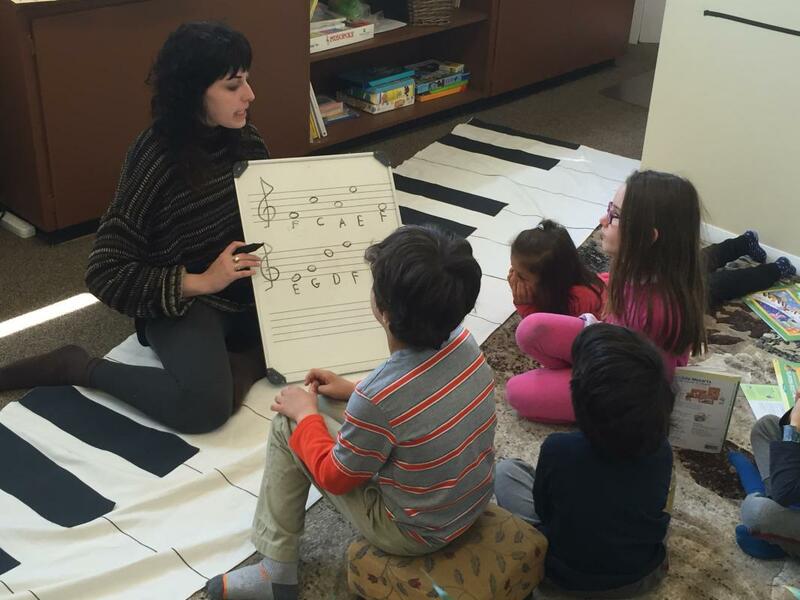 Awareness of musical patterns and elements at this young age is very effective, as kids learn to communicate their feelings through music in a more natural way. In order to make your home practice fun and easy to follow, we will be providing you with an “Assignment Sheet” (checklist) on a weekly basis so that you can help your child establish an efficient routine.